Years before I started working out with weights, I would watch movies and see people like Steve Reeves and wonder how they got that way and got into movies. Let's take a step back in time so you can see where many got their start. Early on in the film industry bodybuilders weren't taken seriously as actors. Steve Reeves was one of the first bodybuilders to break the stereotype. Over the years the industry has evolved to the point where most actors are in shape. Back in the 1950s, 60s, and 70s, Bodybuilders were looked upon as 'freaks' and mindless people who were narcissistic and spent hours looking in the mirror. No one took them seriously and when it came to show business they were usually hired as a 'stooge', just standing around and looking big. Most had no ambition other than to train in the gym, lie in the sun and eat. When it came to jobs, they wouldn't work because it would cut into workout time and lying in the sun. Steve Reeves broke the mold to some degree by playing Hercules in his foreign films but his voice was dubbed because it was too high for his size. They needed a much deeper voice. Reeves had the perfect 'V' shaped body and became a household name around the world. Everyone knew Steve Reeves and 'Hercules'. These were the only roles that Steve was given though. Even though he had extremely good looks, he looked odd in a shirt or a suit. Producers couldn't see him as a leading man or a businessman as it would have looked freaky with shoulders a yard wide and a 30" waist. No one could relate to him as an everyday Joe with that look and moviegoers wouldn't take him serious. In the 1960s a movie called Muscle Beach Party came out and they used many local bodybuilders since it was on the beach and it was a natural to put them in it. Some of the main bodybuilders were Larry Scott and Peter Lupus who towered among the rest. 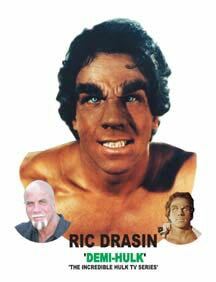 Later on Lupus became part of the TV show Mission Impossible and they created a character for him fully clothed. He pulled it off fine and it showed that these bodybuilders could do something else other than stand and pose. 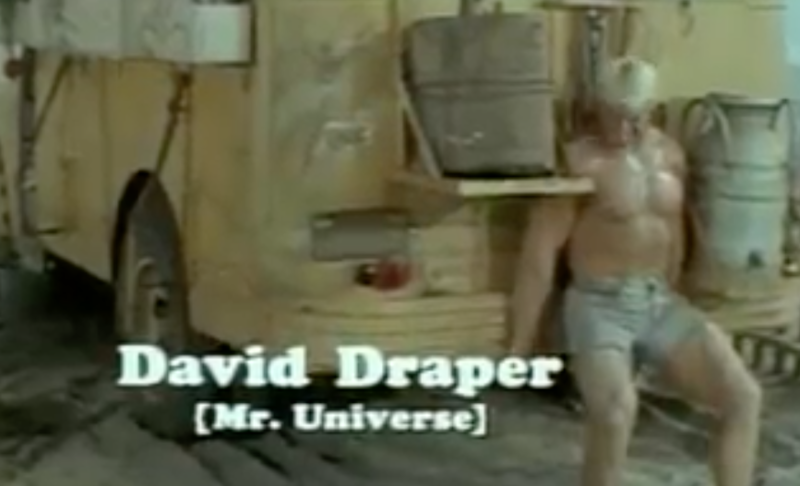 Dave Draper landed a short series called The Gladiator in which he hosted. He looked awesome but felt uncomfortable in front of the camera. From that he landed a role in a feature films called Don't Make Waves with Tony Curtis and Claudia Cardinale. He had a great role and played it well. There were two other bodybuilders in the film that hung around him with lesser roles played by Reg Lewis and Chet Yorton. 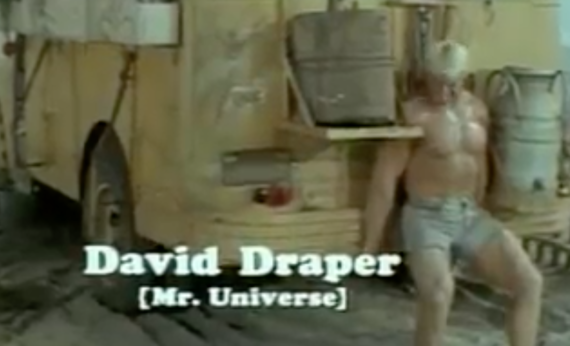 Dave also had a good episode on the Beverly Hillbillies. There was also a bodybuilder by the name of Vince Edwards who trained at Muscle Beach and would go out on auditions for acting roles. He was from New York and after a long stay out here had said one day that if he didn't land a role that he was going on that day, he was moving back to the East Coast. He went out and read for the role of Dr. Ben Casey. He had a disdained attitude and that's what the producer wanted. He landed the role and it ran as a series for the following seven years. So you never know what's in store for you. Things like this happen in the entertainment industry when you least expect it. In the 1970s things took a bigger turn and Bodybuilders were being more noticed. Lots of variety shows would use them for skits and I personally got a lot of calls on the wall phone in Gold's Gym. I would alert all the guys and we'd go down for the interviews. We were cast as bodybuilders and tough guys but the pay was good and we'd get some lines to say as well. We were being used more as actors at this point. A few of the shows actually hired us as dancers to do a skit with Flip Wilson although it was a simple step. Quite a few shows came our way and we booked every one of them simply because we were the only true bodybuilders around. Then Arnold made a few films and one of the bigger ones, Conan which introduced him to the public. They accepted him and it opened the door for many of us as well. I began getting better acting roles especially for commercials with dialogue for beer, soap and other national spots. I landed a jewel thief role on the FBI series and then played a gym instructor attacked by rats in the movie Ben. 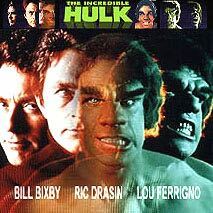 Then, later on the "Demi Hulk" in the Incredible Hulk TV Series. 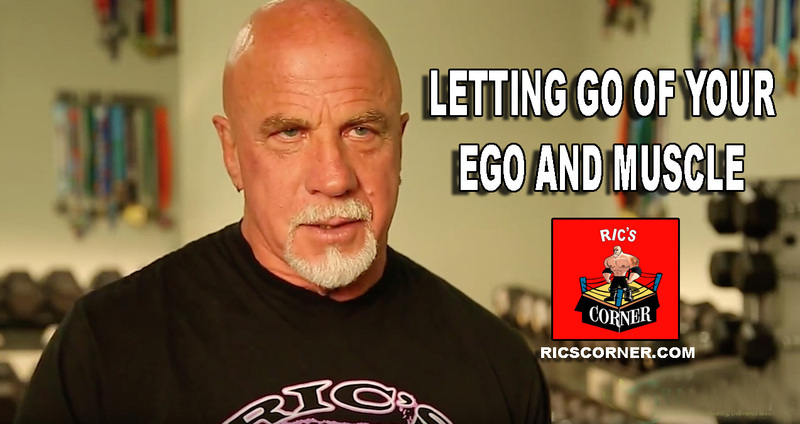 Many bodybuilders moved out here to join Gold's Gym in Venice over the years and many tried their hand at acting only to get discouraged and move back to the towns that they came from. It's not an overnight thing that you can do. It takes time to get known by casting directors and producers who trust you and are willing to put their money on the line that you'll do the right job. Having muscles in just the bonus, it's not the entire picture. I learned to dress down on auditions and wear what the role called for. This is what shows them the character. I would see many new bodybuilders coming in tank tops and flexing the entire time, knowing that they'd be turned down instantly. Over the years things have evolved and there's a much higher percentage of people in great shape with biceps, abs, delts and perfect bodies. I think we all set the standard for that back in the day and people caught on and went with it. I've been fortunate enough to land all types of roles based on talent and not my body. There comes a time that you want to put that in the back and be known for your character. This is not to say that I don't train hard because I do and if they want to see me without a shirt, then maybe I'll show them, but I don't want those types of roles any more. I've played way too many bikers, wrestlers and gang members so now I have produced my own internet talk show, Ric's Corner which has allowed me to use my talent, knowledge and background to my advantage and create my own work. Next time you watch TV or go to a movie, take a look at how many actors now are into bodybuilding. You'll find that the majorities are staying in shape. I'm glad we were able to lead the way.